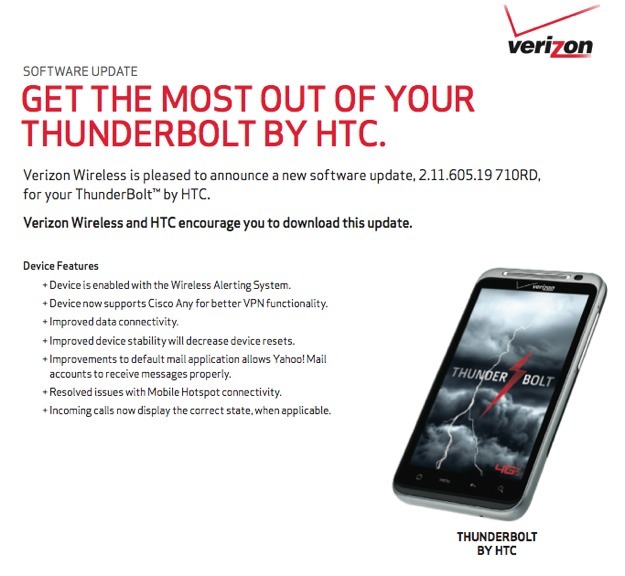 A new update for the HTC Thunderbolt has been approved by Verizon and is ready to be rolled out. The build number of 2.11.605.19 may look familiar since it leaked a few weeks back. The update itself isn’t major and appears to be focused on connectivity issues. It also has better VPN functionality and better handling of Yahoo Mail. When these update docs arrive, we usually see an update within a week or two. The update is 61MB in size. More info.